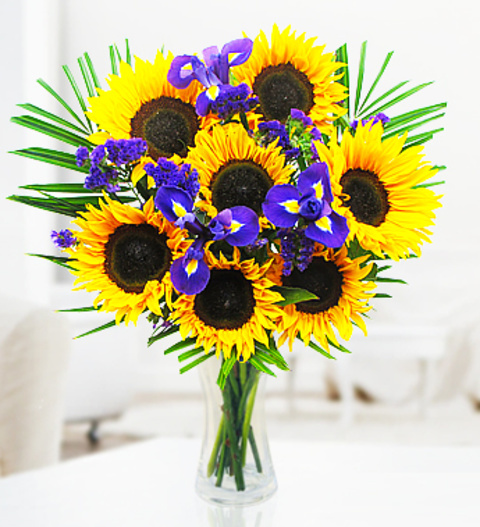 Our Soleil bouquet is a bright hand tied arrangement with British grown Sunflowers, statice and iris framed with exotic palm leaf. This is a beautiful arrangement that is perfect for all occasions and comes with a Free box of delicious Belgian chocolates. Each arrangement is expertly arranged by our talented florists and is available for UK next day delivery. Chocolates may contain nuts.